Every marketer (and their mom) knows the importance of running campaigns that are data-driven. But if you’ve got your head down optimizing for conversions, you can become blinded by that data — and forget that behind every click, there’s a person. 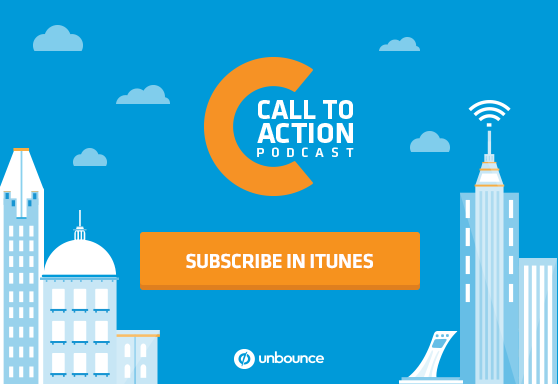 Creating better marketing experiences for the person behind the click was a recurring theme at MozCon 2015 — and it’s what Chelsea Scholz, Jr. Campaign Strategist at Unbounce, discusses passionately in this week’s episode of the Call to Action podcast. The three key ingredients that make up a solid brand strategy. Why content written for everyone really winds up being for no one. Unbounce’s recent outside-the-box marketing campaign idea which has been effective at providing value to people and collecting leads. Clicks Are People: 3 Tactics For Creating More Human-Centered Marketing by Chelsea Scholz via Unbounce. Unbounce’s Content Strategist Dan Levy, interviews Chelsea Scholz, Jr. Campaign Strategist at Unbounce. Dan Levy: All right. You wrote in your post that if you’re feeling frustrated by the results that you’re seeing from your campaigns, it might actually be because you’re focusing too much on the medium that you’re using to reach people and not the people themselves. What do you mean by that? Chelsea Scholz: So we get really focused on doing things like writing emails to see click-throughs or optimizing a landing page so that Google recognizes it. And that really ends up making us forget the who that we’re actually sending these marketing initiatives to. We’re sending emails to our customers and we’re creating customers for our leads. Those are people back there. And they’re ultimately what drives our bottom line; not the metric. So I find it to be kind of like one of those things that seems so obvious. It’s not obvious. We focus on the analytics when there’s a person back there who’s making that happen for us. And the more we understand that person, I think we’d see a better lift. And we do, in fact, see a better lift in our conversions than our click-throughs, what have you, because we’re focusing on the person. Dan: Right. And you take us through different strategies that you could use to make sure you’re creating more person-centered marketing experiences. The first one was kind of surprising, though. It was developing a solid brand strategy. And I feel like the word “brand” is a bit controversial, maybe; like some use it way too loosely and vaguely while others tend to dismiss it as, like, fluff and not a tactical word. So I was wondering, what does the term “brand strategy” mean to you? Chelsea: Brand strategy to me means that you’ve developed a solid core reasoning behind why your business does what it does. And you’ve clearly developed the story around that. It’s a bit like building a snowman. Your business is the snow but you present it to the world in a way that’s delightful, recognizable and interactive by creating snowballs. And then you decorate the snowman with a hat and buttons so that it’s uniquely your own. And this is something that I’ve heard from a lot of different people, that you should envision your brand as a person. In my case, it’s a snowman but same dif, you know? Dan: How about the carrot nose? What does that represent? Chelsea: The conversion carrot, Dan. Chelsea: Ho, ho, ho. There are layers, right, like to your brand and it has to be organized in such a way that everyone can buy into it and believe in it, both internally and externally. Otherwise, you just end up with a pile of snow in your front yard that looks like anybody else’s yard, you know? Dan: Yeah, so at MozCon, Dana DiTomaso said that the idea of a strong brand strategy needs to go beyond what most people think about it, which is like logos and colors and just dressing, and that it involves three key ingredients. Can you take us through what those were? Chelsea: – at both MozCon and our own CTA conference this year. So her three key ingredients to a strong brand strategy are keeping it as simple as possible, which again seems so obvious. It’s not obvious. It’s not rocket science. Just lay it out there in really clear, simple language. So the second is keeping it consistent across all channels, both online and offline. So for example, if you host an annual conference each year, and that looks and feels nothing like an email you’d send on an average day, there’s an issue there. And number three is make it a living, breathing document that is a true expression of your company and reflects your company’s core values. So this is something that really resonated with me because it sparked a conversation between believing in brand coaching, not brand policing. So there are companies that have one person who lives and breathes the brand and that’s fantastic. But if everyone at your company doesn’t understand why somebody is doing that, it comes off as a brand dictator of sorts. What you want is to be able to explain and embrace the brand among a lot of the people at your company – if not everybody – by coaching them through why you do what you do, as well as things like what colors you should use and what logos go where. Dan: Yeah, so I mean I guess you said a living, breathing document meaning that it needs to be something transparent and accessible to all people in the company, that they could kind of refer back to and use as a bible, right? Dan: Cool. Well, one thing I know you took away from Wil Reynolds is that when you understand the people behind the click, you’re coming up with a solution that can easily be disrupted. Can you unpack that one? Chelsea: I think what Wil was talking about here is that you get to a point where you know your audience so well that you can picture a face and a name that you’re talking to. That’s personas, right? But when you do that, you’re crafting a message so targeted and so convincing because you’re talking to the person like a human; it seems really, really simple. You can convey a message properly because you know them intimately. And when you do that, the person feels connected to you, to your brand and to your product in return. This makes your service or whatever you’re offering indestructible. Dan: Right, because I guess the market could change and tools could change, but people fundamentally will always be the same. Chelsea: Right. Companies pivot all the time, and it’s especially true of startups. So if you establish a brand that’s so strong and you talk to people like you know them, they’re gonna come with you. Dan: Well, you mentioned personas, so let’s talk a little bit about personalization and segmentation, which seem to be major buzz words this year. Kristina Halvorson, I think, said that if content is for everybody, then it really is for nobody. And you know that resonates with me as a content strategist; that applies to campaign strategy, as well. And Cara Harshman at Optimizely proposed a three-tiered who, what, how framework for personalization. I was wondering if you could break that down and maybe tell us what that would look like in the context of a campaign that you’ve actually worked on. Chelsea: Yeah. So again, it’s all about relating back to your user. If you know who you’re talking to, it’s going to be a much better experience for everybody involved — as the marketer on this side of the computer, as the recipient on the virtual other side. So the best example I can think of is something that we recently did — the email marketing for CTA Conference. Our goal was to sell tickets in an online medium to attend an offline event. And it can get tricky. But we broke down a series of emails based on target audiences, messages and intent. Big props, again, to our event marketing manager at the time, Stefanie Grieser as this was a bit of her brainchild. Together, we looked at where people were physically coming from to attend the event and came up with an email campaign called “You Fly, We Buy,” and that email had us target people who weren’t in driving distance of Vancouver. And we sent them an email explaining that we recognized that they’d have to travel a long way to get here and would give them a huge discount on tickets if they paid for their flight over. It worked tremendously well because we understood their dilemma; that flights in combination with tickets was going to be too expensive for them. Similarly, we targeted people who were actually in the area or within driving distance of Vancouver, like Oregon and Washington, and gave them also an incentive to buy a ticket because they were so close to us already. Dan: Oh, that’s cool. So in that case, you used the fact that they were close so you might as well take care of a ticket for them? Dan: Then what were some of the results of these campaigns? Chelsea: Those are one of the two highest-performing emails we had had for the Call to Action Conference. I really attribute it to the fact that we recognized what somebody’s problem might be. Because attending events can be expensive and cause a lot of travel. You’ve got to take time off, you’ve got to go through your boss to get some sort of networking budget to cover going to these things and justify your reason to go. So we put that all into a simplified email. Our language showed our solution to their problem was simple and those emails had an incredible conversion rate to people who actually bought tickets. Dan: It’s funny. I feel like sometimes just letting people know that you understand their problem is half the battle. Dan: Right? Then they’re just more likely to say – especially when it’s an event — “Well, actually these people really understand and they understand where I’m coming from as a marketer so I’ll probably get a lot of value out of this event.” So it actually dovetails pretty well with the content that you were providing. Chelsea: Yeah. I mean think about it like you were standing on a street corner and you had two different people trying to sell you tickets to the same event. One guy is just repeating the name of his conference over and over and over again at you. And you’re kind of like: oh, that’s weird and robotic. And then you get another guy who is like: hey, Dan, I really want you to come to this conference but I know you live far away. So how about we work out a plan where you buy your ticket to fly here and we’ll help you out on the ticket cost for the actual event? And then we can both hang out. Dan: Totally, yeah. And you know, that guy’s like: I’m a marketer, you’re a marketer; I understand your problems. Dan: And I guess that’s one of the benefits of being marketers marketing to marketers is you kind of get that. Dan: So your post is a great distillation of the speakers at MozCon. But you went to Seattle to launch one of your own campaigns, as well, which was live note taking. Can you tell us where you got the idea for that and what it looked like? Chelsea: Yeah, totally. So earlier this year, around February or March, we were talking about sponsorships for conferences and what we could do that was different that made us stood out as a company but still provided a lot of value for the audience we were hitting (instead of doing something just like a trade show booth). And what we found valuable from one of our last conferences was when you take notes, it’s a really easy way to distribute and pass along information that’s valuable to a lot of people who are there and not there. So what I came up with was a way to turn a landing page into a live blogging tool where we embedded a Google Doc and had a couple of writers live note take the entire conference. And then in return, we would advertise during that conference — on things like social and via word of mouth from networking — that you could download a PDF of these notes at the end of the conference and that there were a couple of writers from Unbounce who were just taking care of this for you. And it was a wonderful campaign because it was a way to highlight different way of using landing pages, how our tool worked, and offering a valuable marketing piece for those who were attending because you always want to take notes back to your boss, or to your other colleagues… or just plain remember what you had listened to while you were there. And what I turned our live note taking into was an incentive for brand awareness, as well as a way for us to capture new subscribers for our blog list. Dan: And what were some of the results? I know that you did this I think at a couple other conferences as well, right? Dan: Yep, I was there. I was a note taker there. Chelsea: You were? Traction Conf in Vancouver, which you were also a note taker for. Dan: Yeah, I was the note taker at that one. That was exhausting. Chelsea: And then we did it at MozCon and I actually switched roles a little bit and was a writer there, along with our other Unbouncer Cody. That was a different experience for me. I totally understand some of the pain you go through, now. Of course we do it for our own conf, as well. But I think MozCon was definitely the most successful of all of those this year because of the size and the kind of audience that Moz already brings in. they have over 1200 attendees, I believe, and they have a similar audience of marketers to what Unbounce has. And we have a great relationship with them as a partner. So it was all around a great fit and we were a sponsor of that conference. My main goal for the note taking part for that campaign was brand awareness, of course, followed closely by blog signups. And I set a goal for myself of 1400 unique, non-customer users to my landing page which would essentially help hit almost every marketer that was attending and some outside that maybe couldn’t make it. And 250 new subscribers for our blog as a result of people wanting the PDF. Dan: So that was your goal. Chelsea: That was my goal. And what I actually ended up with was 2,063 unique non-customers to my page and 372 new blog subscribers in just one month after the campaign had run. Chelsea: Yeah. And I’ve also found that these note taking landing pages have withstood the test of time, as people always want to read about conferences even if it’s well after they’re over. So today – I checked back this morning – and we have over 800 unique new blog subscribers as a result of that note taking initiative from Moz alone. They can live forever. They act as a great way for people to come up and search for you if you’re doing your SEO right. And a couple other of my posts had been picked up by other publications so it kind of spread that message again and it’s just been a great way and a great campaign for brand awareness and blog. Dan: Yeah. Yeah, we’ve used it – talking about conversion carrots, we’ve used that in some of our blog posts and also in some of our blog posts that have been syndicated in other places like Search Engine Journal. It’s a great way to continue to get that content out there and continue to generate leads from it. Dan: So the year is drawing to a close, believe it or not. And I think now is a time when us marketers get a little bit more reflective. So I was wondering, what would you say were your biggest lessons of this year in terms of what goes into running a successful marketing campaign? Chelsea: Yeah. For me personally, I think the biggest lesson was that we need to market for the man and not the medium or the metric. And it was a really big wakeup call for me because as marketers, we get really focused on performance reports and hitting KPIs. And you forget that there are people back there that are interacting with your product and paying you for your product. If you can relate to them a little more by interacting with them as a friend and as just a general person, it really helps conversion rates. It’s easy to forget this because we’re shielded by our screens. You wouldn’t talk to your sister or your best friend like she was a stranger, so why would you do that to somebody you want to join your mission? Dan: So have you taken that lesson and applied that to the way you approach campaigns that you’ve run at Unbounce? Chelsea: Well, specifically for email I find myself asking, like, if I were to read this cold to my personal Gmail, do I relate to this person? Do I understand, like am I seeing a face, are we using people that are real? Do I feel like this person actually wrote this email and it’s not just coming from somebody as a sign off? Like I really try and work with our copywriters to get to the core of the thing. Dan: I was just going to say it’s funny because you talk about writing emails as if you’re just a human writing an email to a friend of yours. But at the same time, you mention like multiple reviews. So I imagine that with like multiple people reviewing an email and weighing in, it must be difficult to maintain that singular human voice. Chelsea: Yeah. I mean this is the challenge marketers face, right? Like if you’re a one stop shop, it could be easier to pull that off. But at the same time, it’s really good to work in collaboration with some really smart people, but you have more cooks in the kitchen. So I’m finding a really good balance between having one copywriter right now and one or two reviewers because we all understand the brand, we all understand the message of the campaign and it’s actually not that bad when trying to solidify a single voice. It comes with challenges, of course, and sometimes you’ll never agree. But again, like I mentioned, the pure thought of just going through that process with the goal in mind of talking like a person and reading like a person helps immensely. Dan: Right. And I think what you said about actually putting yourself in the position of the person receiving the email, like imagining you getting that email in your own inbox probably helps a lot because you’re not just thinking about your voice and the voice that you’re putting out there, but you’re thinking about the person receiving that message and what they’re hearing. So you are getting back to that singular person in that case. Chelsea: Yeah, definitely. And we at Unbounce have a really good culture of like talking about other people’s emails and how great they are, and how personalized they feel. Or like, that image was great. And so I think the conversation is always open, which is really nice; we’re not stuck by any means. And we’re even starting to do experimentation with things like plain text emails. So it even just looks like somebody just wrote you a straight up Gmail email. Dan: Right, something that our copywriter is putting together based on our brand voice and our brand guidelines is like an email specific kind of editorial bible that everybody could refer to. Chelsea: Yeah, it’s gonna be awesome. Dan: Any other big lessons from this year that you want to share? Chelsea: Yeah, I think aside from like doing things like being more personal and getting a really strong brand strategy, I think it’s really hitting home lately that we take more risks and we move more quickly where we can. The internet really waits for no man, right? So digital marketing needs to do the same and the more we can kind of make those quick wins, the better it will be. And it gets harder the bigger we get. But keeping that in mind is allowing us to do exactly that and I think 2016 will be filled with areas for us to take more risk and disrupt ourselves a little bit more. Dan: I wanted to ask you about that. What are your New Year’s marketing resolutions? What do you hope to do better in 2016 than you did this year? Chelsea: Besides hitting the gym more often? Chelsea: I’d like to keep developing our brand in email strategies and keeping them fresh. It’s something I’m very active and passionate about and I can’t wait to keep getting really personal with all of it and working with our team to do that same sort of brand coaching where we all get it, we all understand and we’re getting right there to the point with our emails where it’s one-on-one, it feels like, with our audience. Dan: Yeah, and that’s a really good point about keeping it fresh, as well. 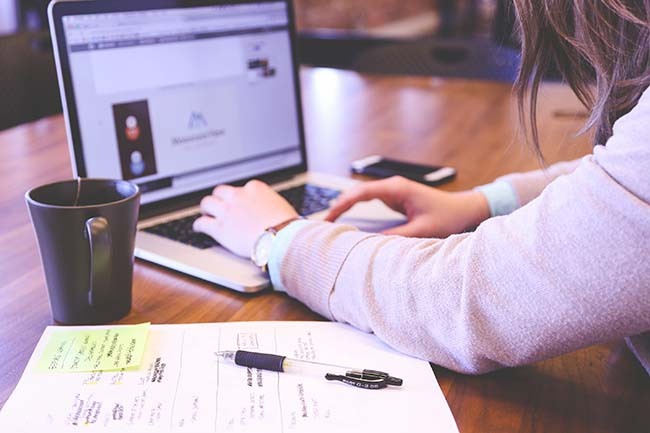 Because once you do have your brand set in writing and guidelines there for anybody to go and refer back to, I guess the danger is that you – they’ve become canonized and they’ve become stuck and you don’t want to get yourself in that situation, either, do you? Chelsea: Yeah, everyone faces that problem with developing and maintaining a strong strategy for brand. It’s something that needs to remain constant but requires work. It’s like a marriage, in that sense. You put time into developing and growing together and it’s really great when you finally have that bible and you get married. But if you don’t work on the relationship between you and your brand, you’re headed for a big, colorful divorce. Dan: Right. Yeah, it’s good to keep growing but you need to grow in the same direction. Chelsea: Yeah. Yeah, I really like it. I really like talking about this stuff to you and I think aside from the additional stuff we talked about, with like what are the biggest things I learned this year, I really hit a point in my career, personally this year, where I think my shtick is like human-centered marketing. Dan: I like that. Yeah, it’s funny. I’ve been thinking about that and the term I’m using is like humanistic marketing. Dan: I’ve actually been thinking about writing a blog post about that. Chelsea: Yes, yes, yes. Sometimes it’s really, really hard for me because I’ve worked with people for so long who are so numbers focused. And I get it. I get that it’s important and we’ve got to reach certain targets. But it kills me a lot of the time to think about the person and how they’re feeling, but what is the number? Dan: I think that’s one of the things that sets us apart, though. Like really important in, like, definitely in content. Andy Cresodina calls it empathetic marketing or empathetic content marketing. It’s like you start with the person’s problem and how you could solve it. Dan: Well, thank you so much for the marriage advice and the marketing advice, Chelsea. Chelsea: It was great. Thank you so much for having me, guys. Stephanie: That was Chelsea Scholz, Jr. Campaign Strategist at Unbounce.